Last night, you may have heard talk of a mysterious black bar appearing on the top of Google.com. Or you may have even seen it yourself. No, you weren’t hallucinating. It was a sign of something about to show itself. Something big. Google+. 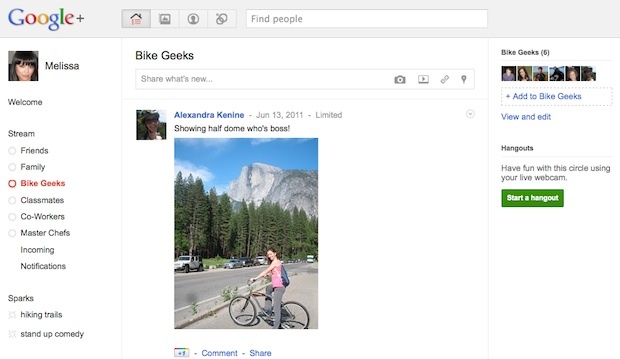 What is Google+? It’s the super top-secret social project that Google has been working on for the past year. You know, the one being led by General Patton (Vic Gundotra) and General MacArthur (Bradley Horowitz). Yes, the one Google has tried to downplay as much as humanly possible — even as we got leak after leak after leak of what they were working on. Yes, the one they weren’t going to make a big deal about with pomp and circumstance. It’s real. And it’s here. You see, the truth is that Google really is trying not to make a huge deal out of Google+. That’s not because they don’t have high hopes for it. Or because they don’t think it’s any good. Instead, it’s because what they’re comfortable showing off right now is just step one of a much bigger picture. When I sat down with Gundotra and Horowitz last week, they made this point very clear. In their minds, Google+ is more than a social product, or even a social strategy, it’s an extension of Google itself. Hence, Google+. How’s that for downplaying it? “We believe online sharing is broken. And even awkward,” Gundotra says. “We think connecting with other people is a basic human need. We do it all the time in real life, but our online tools are rigid. They force us into buckets — or into being completely public,” he continues. “Real life sharing is nuanced and rich. It has been hard to get that into software,” is the last thing he says before diving into a demo of Google+. What he proceeds to show me is a product that in many ways is so well designed that it doesn’t really even look like a Google product. When I tell Gundotra and Horowitz this, they laugh. “Thank you,” Gundotra says very enthusiastically. Clearly, they’ve put a lot of work into both the UI and UX of Google+. The first thing Gundotra shows me about Google+, and the first thing you’re likely to interact with, is something called “Circles”. You may recall that talk of this feature leaked out a few months ago — though it wasn’t exactly right. In fact, our story from months prior about a feature of Google +1 (the name of the network at the time which ended up being the name of the button — more on that in a bit) called “Loops” may have been a bit closer. That is, Circles isn’t actually a stand-alone product, it’s a feature of Google+ — an important one. “It’s something core to our product,” Gundotra says. It’s through Circles that users select and organize contacts into groups for optimal sharing. I know, I know — not more group management. But the truth is that Google has made the process as pleasant as possible. You simply select people from a list of recommended contacts (populated from your Gmail and/or Google Contacts) and drag them into Circles you designate. The UI for all of this is simple and intuitive — it’s so good, that you might even say it’s kind of fun. It beats the pants off of the method for creating a group within Facebook. Gundotra realizes that many social services have tried and failed to get users to create groups. But he believes they’ll succeed with Circles because he says they’re using software in the correct way to mimic the real world. More importantly, “you’re rewarded for doing this,” he says. How so? A big feature of Google+ is the toolbar that exists across the top of all Google sites (yes, the aforementioned black one). Once your Circles are set, sharing with any of them from any Google site is simple thanks to this toolbar. Speaking of this black toolbar, which was codenamed the “Sandbar” as Google was working on it, Horowitz explains that it arose from the fact that sharing models on different sites are all different. The toolbar is an attempt to unify them. This toolbar will exist across all Google properties (though it may take some time to fully roll out). And down the road, you can imagine browser extensions, mobile versions, etc. But again, we’re on step one here. Next, Gundotra showed off a feature called “Sparks”. He was quick to note that even though it’s a search box, this is not some sort of new search engine. Instead, he calls is a “sharing engine”. “Great content leads to great conversations,” he says. With Sparks, you enter an interest you have and Google goes out and finds elements on the web that they think you’ll care about. These can be links to blog posts, videos, books — anything that Google searches for. If you find something you like, you can click on an item to add it to your interest list (where it will stay for you to quickly refer to anytime you want). Or you can see what others are liking and talking about globally in the “Featured interests” area. “Our goal here is to connect people. And everyone has a camera in their pocket,” Gundotra says as he shows me “Instant Upload”. This feature of Google+ relies on the use of an Android devices to take photos or shoot video. From a new app, you’ll do either of these things and the content will automatically be uploaded to Google+ in the background and stored in a private album (which you can share with one click later). 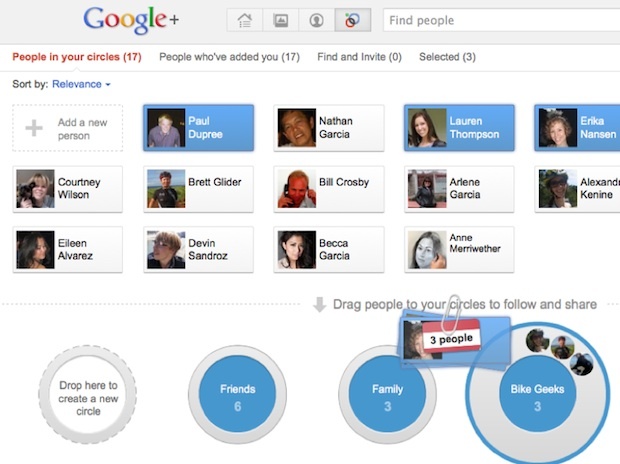 Another feature of Google+ is called “Huddle”. It’s essentially a group messaging app that works across Android, iPhone, and SMS to allow you to communicate with the people in certain Circles. When I asked why they wouldn’t just use Disco, the group messaging app that the Slide team within Google built, Horowitz would only smile and pretend that he didn’t know what I was talking about. Finally, there’s a feature called “Hangouts”. “Everyone has high-speed networks these days, but how many use group video chat?,” Gundotra asks. “Not a lot.” He notes that while there are technical challenges, and some cost money, the biggest problem is that it’s socially awkward to video chat with someone. The Google+ team set out to fix this by thinking about neighbors sitting out on porches. If your neighbor is sitting there, you know that they’ll likely be interested in striking up a conversation. In fact, it would be rude for you to walk by and not say anything. With that in mind, Google+ Hangout attempts to solve the social problem of video chat by making it easy for you to let others know that you’re interested in chatting. And if you’re already chatting with a Circle, everyone else in that Circle will get an alert to come hang out. This works for up to 10 people. And seeing it in action is a bit magical. Gundotra starts a Hangout with some co-workers and as they join, conversations start between multiple people. But the Google+ system is smart enough to focus on who is controlling the conversation in any given minute. This makes the conversation easy to watch. It was almost as if an editor is working behind the scenes, cutting between people. Even cooler is that you can share a piece of content, like a YouTube clip, and everyone in the Hangout can watch it together while talking about it. It sounds a bit cheesy, but it’s really pretty great. After the rundown of all of these features, Google+ may sound a bit convoluted. But the key to the project is the attempt to unify everything. This is done via the toolbar (which features a drop-down showing you all of your relevant Google+ activity), but also on the mobile apps (again, Android and iPhone), and, of course, on the web. The Google+ site is the main stream on which you’ll find everything. From here, you can easily switch between all of your Circles, share content with any of them, start a Hangout, look up Sparks, etc. All of the information flowing through the system does so in real time. As something is shared with you, it appears at the top of your stream. It’s a bit like FriendFeed, in this regard (which I love). You’ll also find a link to your Google+ Profile, which will replace your old Google Profile if you have Google+ enabled. On this profile you’ll find not only a stream of everything you’ve shared across Google+, but also your +1 content. That’s likely important. While there has been plenty of speculation (by myself and others) that the +1 Button is already a dud, the larger picture is still a bit hidden. While Gundotra and Horowitz declined to specifically talk about it too much, you’ll see a +1 button on all Google+ content — the +1 Button clearly ties deeply into all of this. It is going to be their Facebook “Like” button. All of this sounds great so far, but what about the downsides? Whether they’ll admit it or not, Google is making a bold and perhaps risky move by attempting to attack social from scratch. What if they flop again? From the little that I’ve seen so far, Google+ is by far the best effort in social that Google has put out there yet. But traction will be contingent upon everyone convincing their contacts to regularly use it. Even for something with the scale of Google, that’s not the easiest thing in the world — as we’ve seen with Wave and Buzz. There will need to be compelling reasons to share on Google+ instead of Facebook and/or Twitter — or, at the very least, along with all of those other networks. The toolbar and interesting communication tools are the most compelling reasons right now, but there will need to be more of them. And fast. Speaking of Buzz, one thing that strikes me about Google+ is that it seems a bit like Google Buzz done right. When I asked if Google+ would be the official death of Buzz, Horowitz declined to say, but did note that it was still being decided how those pieces will play together. And that could be a bigger issue for Google. With much of Google+, they’re simply creating a new layer rather than utilizing Google’s existing services. For example, when you upload pictures to Google+, they don’t just go to Picasa (though they do go there as well), they also reside on Google+. On one hand, that will confuse some users. On the other, it’s quite refreshing to see Google attempt to start fresh with this new project. What about Twitter, Facebook, or other social integration? Horowitz wouldn’t go into too much detail as it sounds like tie-ins are still being discussed. As I understand it, right now, Google+ will largely be a stand-alone network with some low-level third-party social network integration. So when can you try Google+? Here’s the thing that will be a kick in the pants to some users: Google is beginning to roll it out today, but it will only be a very limited field trial. You can submit your email address here to be entered into the system and notified as roll-outs continue, but Google says that they have no set time table for a full rollout. Again, this is phase one of what Google hopes to do with Google+, so they’re taking it slow. “It’s not about one particular project, it’s about Google getting better. We know this is going to take us a considerable amount of time. But we want to make Google better by connecting you with your relationships and interests,” Gundotra reiterates. He declined to state how big the team within Google currently working on the project is, but says that it’s a “decent sized team”. “Today’s web is about people. To organize the world’s data, you have to understand people,” Gundotra concludes, noting that newly crowned CEO Larry Page has been heavily involved in this project from the get-go. 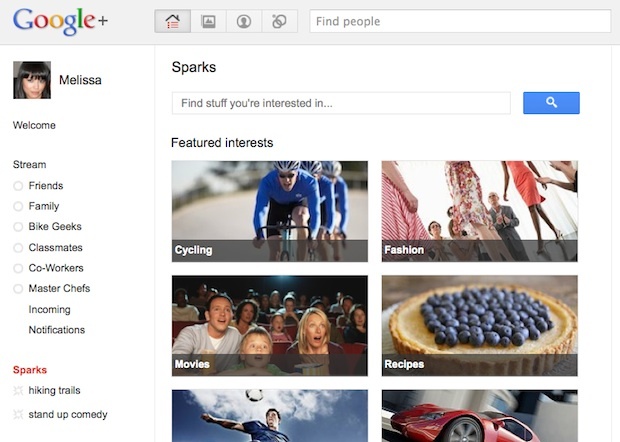 As it is unveiled to the world, Google+ sounds and looks great. But we’ve seen that before from Google. Now comes the hard part. 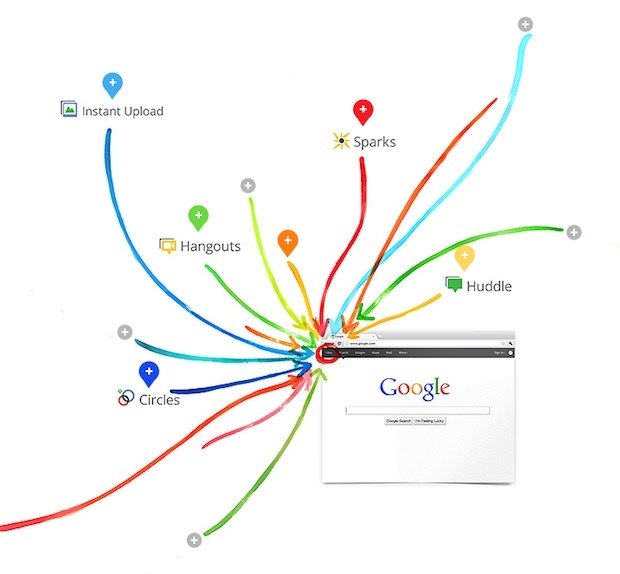 Walking Around In Circles: As Google+ Opens Up Will People Start Using It Correctly?